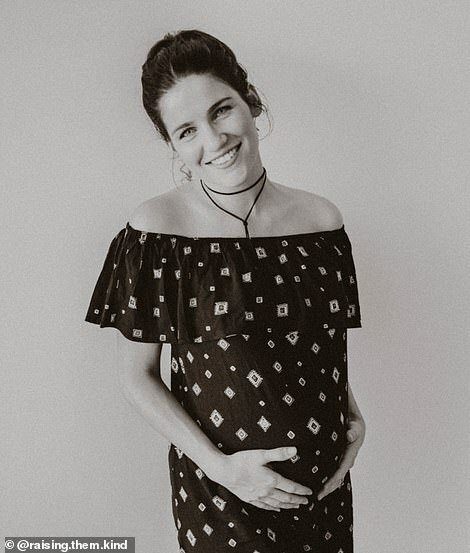 When Nicole Thomson felt what she thought were signs of pre-term labour at 33 weeks pregnant she was filled with excitement at the prospect of meeting her baby girl early. 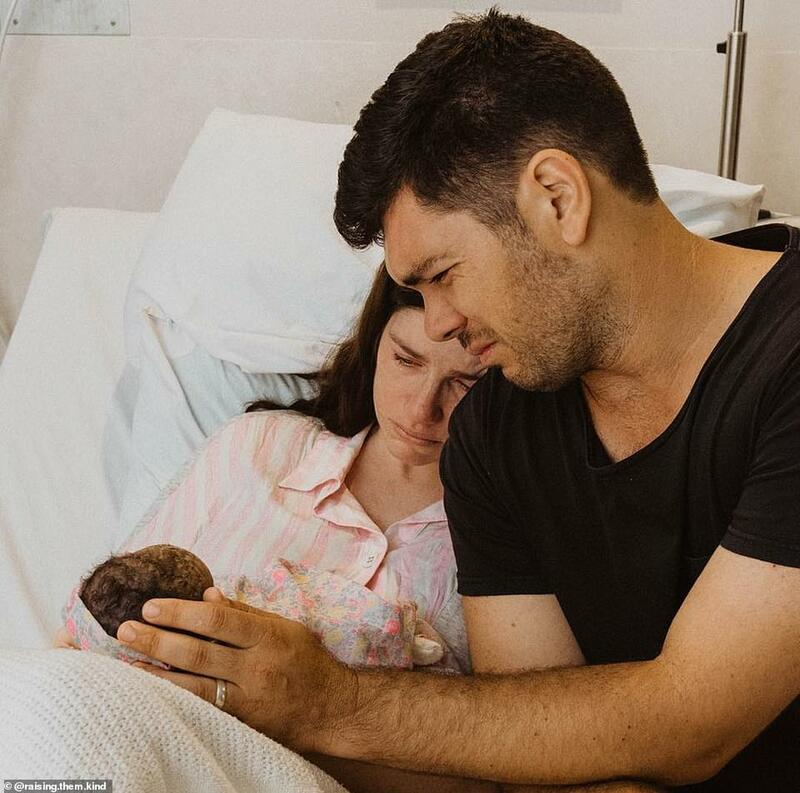 But just hours later the Queensland-based mother-of-three and her husband Chase were faced with their worst nightmare when they were told by doctors that their beautiful baby, Esther Mae, had tragically died. ‘I had been in and out of hospital for a couple of days being monitored thinking I was in pre-term labour. All test results showed that I wasn’t and that bub was healthy. 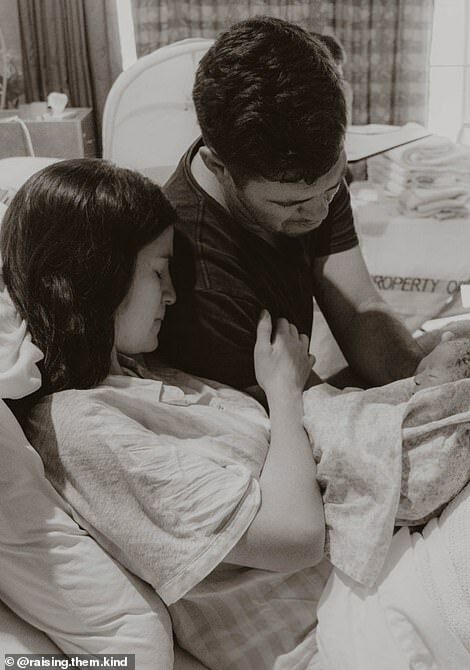 I could feel her kicking and moving around normally, and listening to her heartbeat gave me some reassurance, but I still felt like something wasn’t right,’ Nicole said. ‘I woke up on February 2nd 2017 in hospital after having a few hours sleep from being monitored for most of the night. They wrapped Esther in a blanket and placed her in Chase’s arms as he sat by my side waiting for me to wake up. But when the midwife came in shortly afterwards and struggled to find her baby’s heartbeat, Nicole’s excitement quickly turned to anxiety. 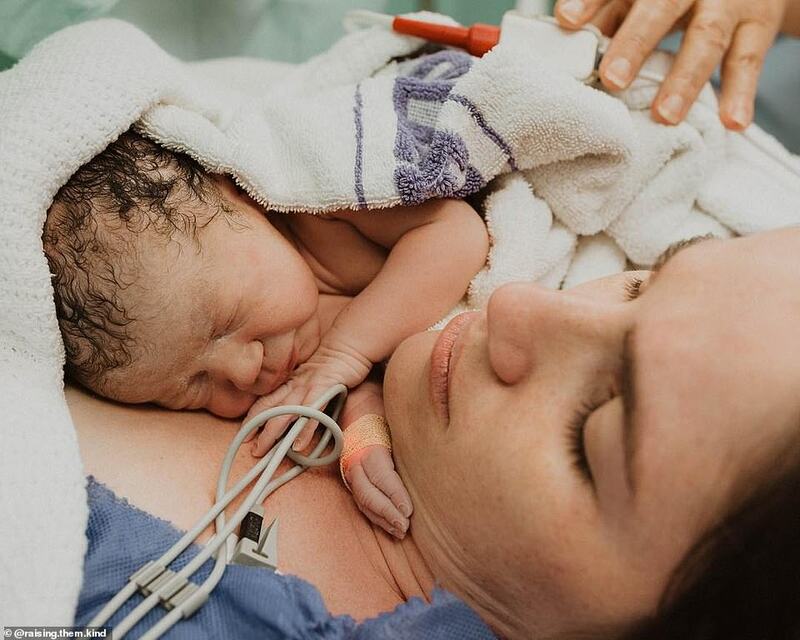 ‘The midwife asked if I had much movement since I’d been awake and I realised that I hadn’t, I also noticed that my belly had gone soft on top which was very unusual as it was always rock hard because of the position Bub was normally in,’ Nicole said. Trying hard to remain positive, Nicole watched as doctors performed an ultrasound before telling her that she needed an emergency caesarean because the baby’s heartbeat was ‘fading fast’. 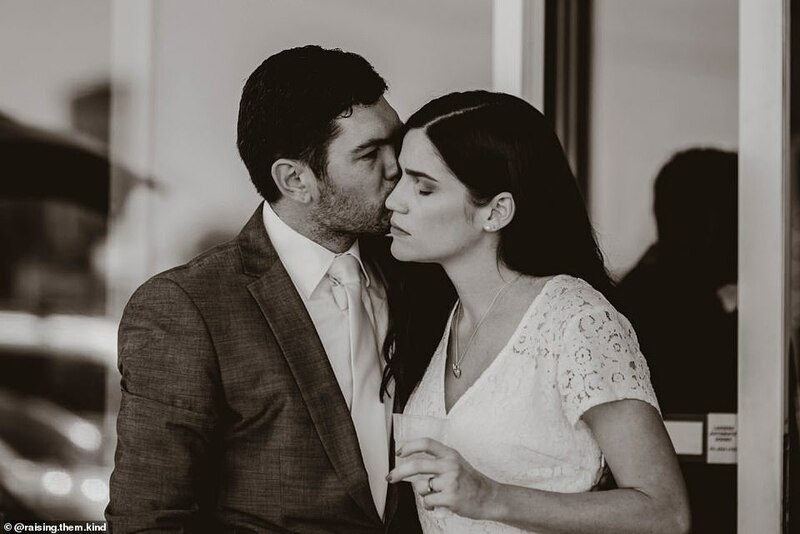 Alone at the hospital and beginning to shake uncontrollably, Nicole frantically asked for a phone to call her husband and mother to tell them what was happening. ‘As they were racing me through the corridors I tried to call him [Chase] but he didn’t pick up because I was calling from a private number. It turned out that he was just about to leave town for work and it was lucky that he was with my mum at the time,’ Nicole said. Lying on the operating table faced with bright lights and a room full of strangers, Ms Thomson said that she had never felt more ‘out of control’. While she was under, Chase arrived at the hospital and was raced through the corridors and although he saw Nicole on the table briefly as he passed by, he wasn’t allowed to enter the room. ‘He was anxiously waiting, hoping for some news, any news. He sat there thinking that he was going to walk out of the hospital without both of us,’ Nicole said. I watched from my bed as Chase bathed her petite body, followed by his first and only dance that they ever shared together. Eventually a doctor emerged to let Chase know that while Nicole was okay, doctors were performing CPR on their baby. 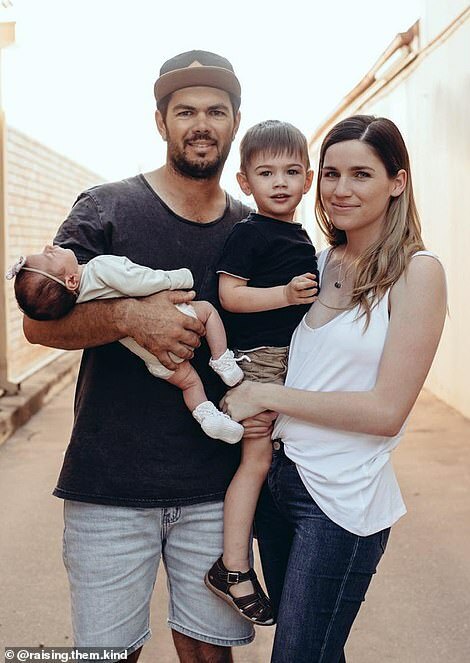 ‘He went into the room where our daughter lay on a table and watched as the team continued to work on her, hoping with all of his heart that she was going to pull through,’ Nicole said. For some, taking photos may sound like a strange or weird thing to do and that probably would’ve been my thinking prior to this tragic experience. But when it’s one of the only things that you will ever keep of your child, it’s not even a question. Try and collect as many memories of your baby as you can because once they’re gone, they’re gone. Things like photos, fingerprints, hands/feet moulds, a piece of their hair. Anything that will help you you remember them. After 40 minutes a doctor approached Chase and asked him a question no parent should ever have to answer. ‘They asked him if he wanted them to keep trying [to revive Esther], and Chase made the impossible decision and asked them to stop. They wrapped Esther in a blanket and placed her in Chase’s arms as he sat by my side waiting for me to wake up,’ Nicole said. 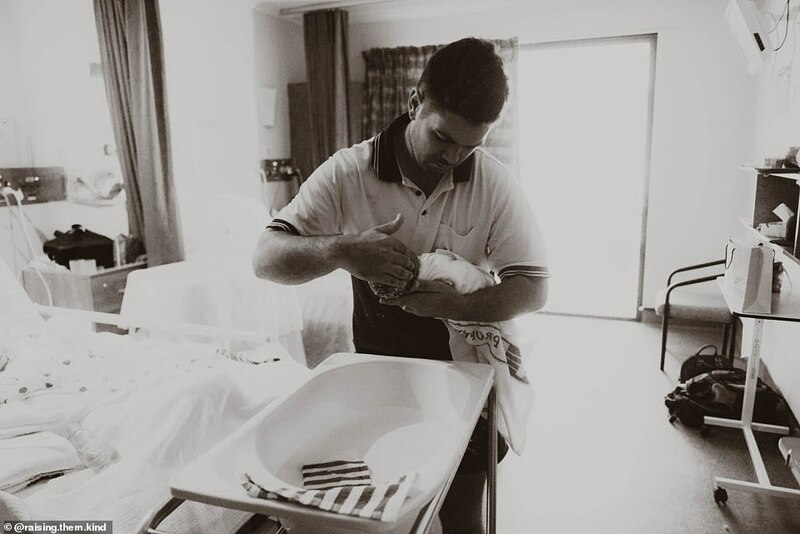 ‘I remember opening my eyes and to the right I could see a midwife standing next to the bed. She lent over and said in a gentle voice “I’m sorry Nicole, Esther didn’t make it”. Nicole then had Esther placed on her chest where she immediately noticed how warm and perfect she was. 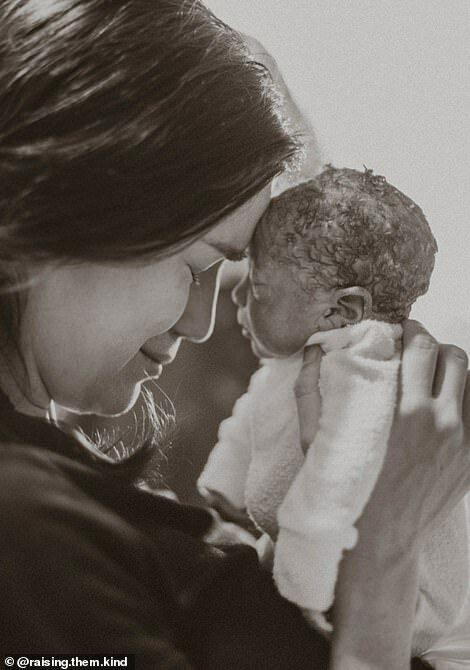 ‘Her body was still warm and she looked every bit of what a newborn baby should. We were rolled through the hospital down to our room on the maternity ward where my mum was waiting,’ she said. 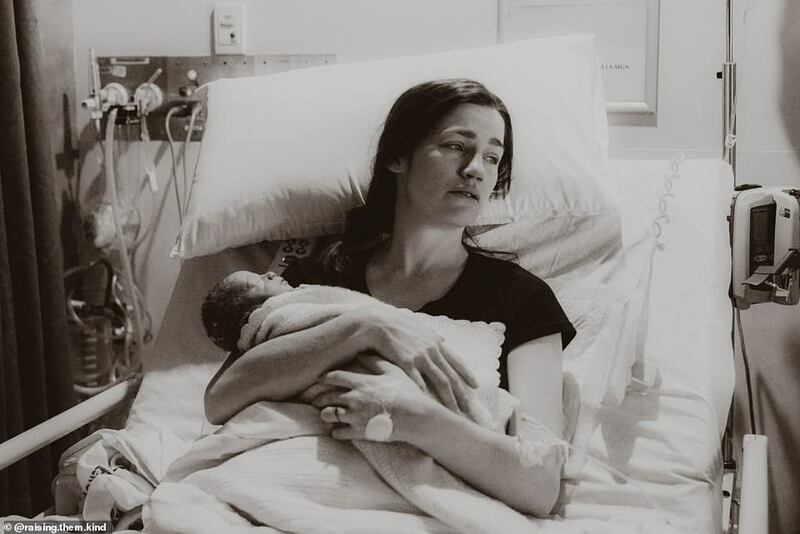 Nicole, a photographer, asked her mum to bring her camera to the hospital and she and Chase spent the day capturing special moments with Esther. ‘With a heavy heart, my mother captured photos of us throughout the day with our darling Esther. I watched from my bed as Chase bathed her petite body, followed by his first and only dance that they ever shared together. It was the saddest and most special sight,’ Nicole said. Family, friends and their little boy Leo also came to visit Esther to say goodbye; Leo gave his little sister kisses and while he wasn’t able to comprehend the situation entirely he remained gentle and sympathetic to everyone. The hardest thing, Esther said, was accepting that little Esther really was gone and that there was no known reason why. ‘My natural instinct was to check on her, to cuddle her, to feed her and each time that I laid eyes on Esther, my heart would break a little more,’ she said. Losing Esther will affect me for the rest of my life, but I know that she will always be watching over our family. ‘Chase and I decided that we needed to say goodbye to her the next day as we wanted to remember her the way she was, perfect and beautiful. We had organised to have moulds of her hands and feet done as keepsakes the following afternoon, and agreed we would do it after that. 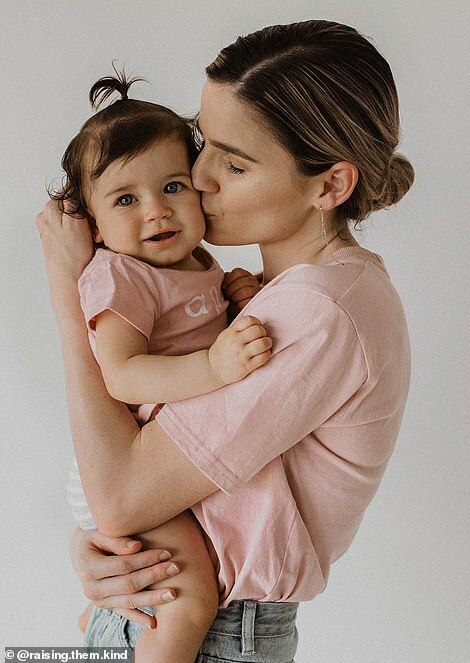 Nicole and Chase left the hospital heartbroken without their baby and returned home to a strong support system of people who were there to help with anything they needed. Nicole had an ultrasound about 10 days prior to Esther’s passing which displayed an abnormality with Esther’s bowel. There was never any concern for her well being, and certainly none for her life. Her autopsy result confirmed that she had a an Intestine Atresia (complete blockage or obstruction in the intestine). However, it was not a proven factor for her death. The pair also organised a beautiful farewell service for Esther, with Nicole determined to make it perfect as ‘it was the only event I’d ever get to plan for her’. 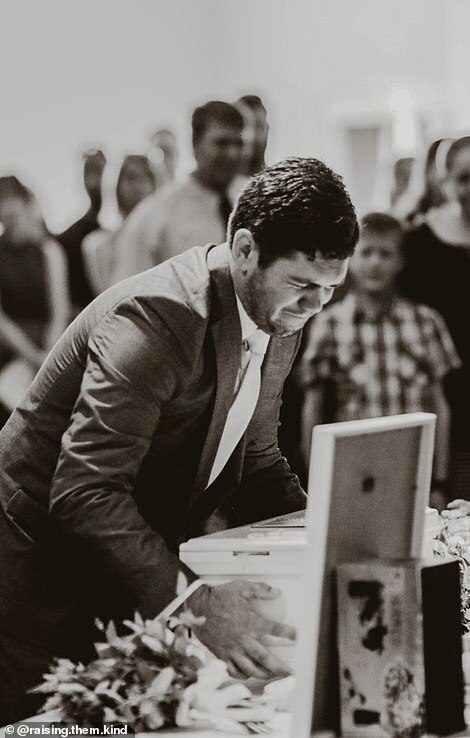 ‘It was an incredibly beautiful but sad service. Often funerals are a celebration of one’s life, but this wasn’t the case for our Esther. Instead, we dreamt of what could’ve been and found some peace in knowing that Esther is safe and living in paradise. We await the day where we lay eyes on her beautiful face once again,’ she said. 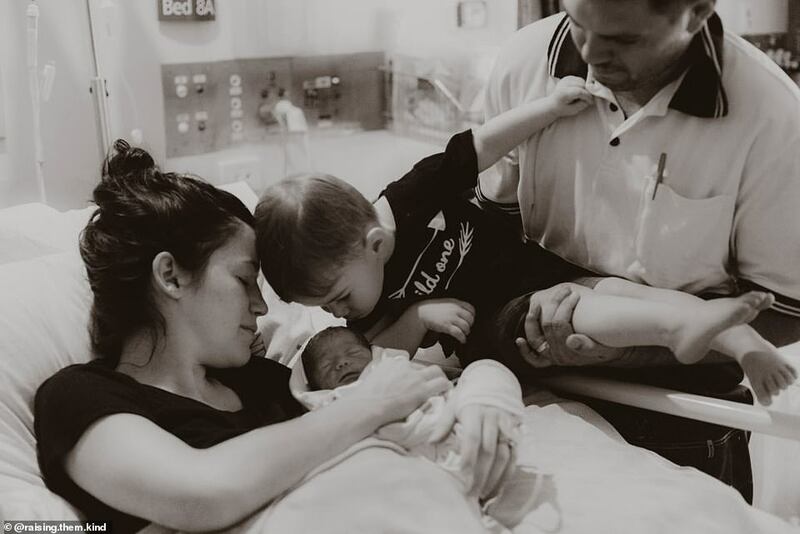 In the weeks and months following, Nicole and Chase were overwhelmed with emotions and were thankful they had their little boy Leo to keep them busy. ‘He was the reason I had to get out of bed whether I wanted to or not. He was and continues to be my little ray of sunshine everyday,’ Nicole said. Four months after Esther died, the pair received news that brought them much deserved joy. They were expecting a baby. ‘I never wanted to replace Esther, I just knew it would help with the healing process,’ Nicole told FEMAIL. ‘I believe she chose her beautiful baby sister to be here with us today. We welcomed our rainbow girl Primrose Ivy safely into the world on February 5th 2018, just three days after Esther’s first anniversary. 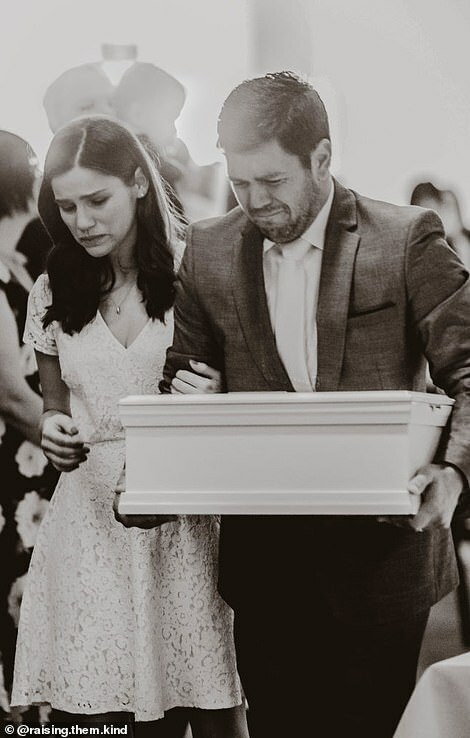 While Nicole and Chase are both overjoyed to be raising their two amazing children, they remember Esther every day and still have their battles. ‘It’s a vicious cycle where some days I feel on top of the world and others I don’t want to see the light of day, and struggle doing even the most simplest of tasks,’ Nicole said. ‘I love my job but please don’t be fooled by all the smiles and pretty photos. These are just tiny snippets of our lives. A piece of me is gone forever, and I will never be the same person again. Some people say the pain will get easier, but I don’t think it does. You just learn different methods of how to cope with the agonising pain. ‘Losing Esther will affect me for the rest of my life, but I know that she will always be watching over our family. If you or anyone you know is affected by the loss of a baby or child, call the Sands 24/7 National Support Line on 1300 0 72637. You can read more about Nicole’s experience here and follow her family updates on Instagram at Raising.Them.Kind.